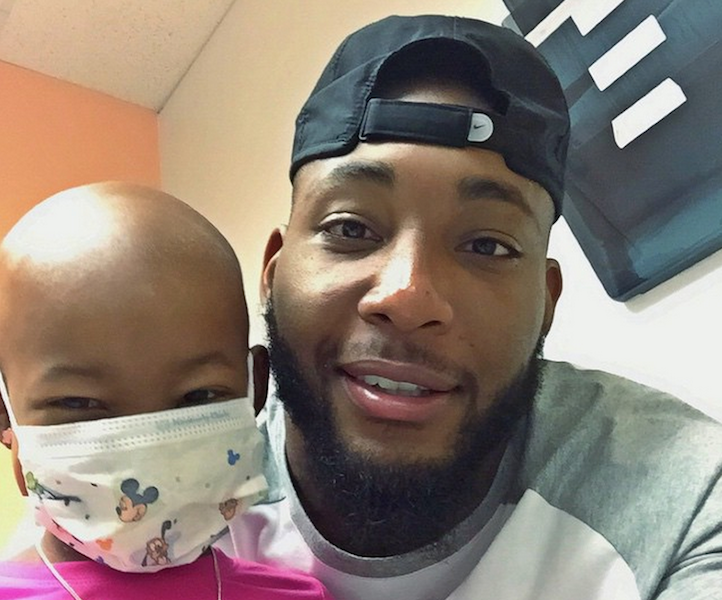 Devon Still, an NFL player for the Cincinnati Bengals, stood in front of the crowd and the television cameras at the 2015 ESPY Awards Wednesday night and opened up about his daughter’s cancer diagnosis. “When my daughter was first diagnosed with cancer, I felt like I was living a nightmare,” Still says in the video below. In his acceptance speech for the Jimmy V Perseverance Award, he admitted that during the first days of her diagnosis he would go to the hospital chapel and cry. Leah Still is now in remission from the Stage IV neuroblastoma she was diagnosed with in June of 2014, but it’s been a long hard road for her family. After her diagnosis, things were further complicated for Still when it was announced he would be cut from the Cincinnati Bengals’ roster, Today reported. He’d had to divide his focus between football and his daughter’s cancer, so Still understood the team’s decision to cut him. However, it was later announced that Still would be assigned to their practice squad, meaning that in addition to continuing to receive a salary, Still’s daughter would be covered under the team’s health insurance policy. Via Devin Still’s Instagram account. In his ESPY speech, Still thanked the public for their support and then had some special thanks to offer his daughter, who was unable to attend because she is still recovering from cancer treatment. Watch his whole acceptance speech in the video above.